Weighing approximately 14 pounds, this fully-cooked and smoked bone-in ham is great for entertaining guests, holiday dinners, or any main course. Hickory wood is used to to smoke the ham in a real smokehouse. No liquid smoke flavoring, water, or fillers are added. A sugar cure gives this ham a taste that is not overly salty. 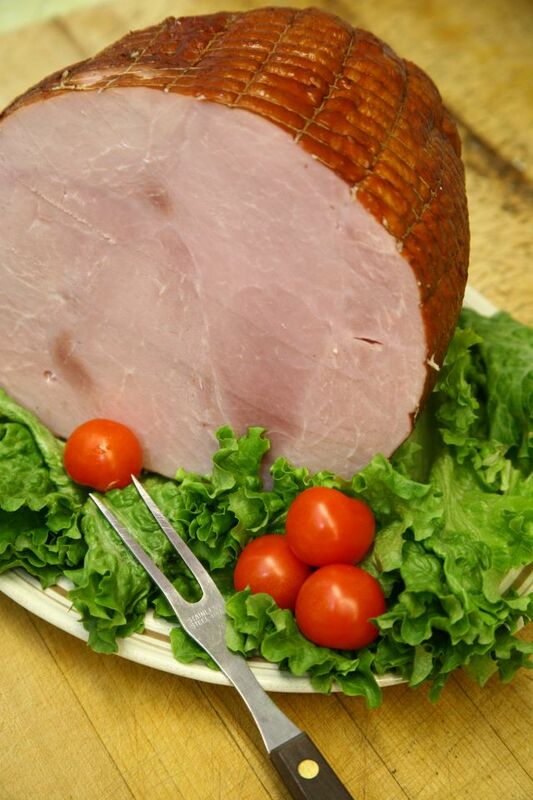 Hickory smoked in its own natural juices with no water added is what makes this smoked boneless ham distinctive. This is not your typical grocery store ham. The bone is removed and the ham is placed in a smokehouse where the meat forms together. A sugar cure, rather than salt cure, keeps the ham from being overly salty. No liquid or patent smoke flavoring is added, which allows the natural ham flavor to come through. 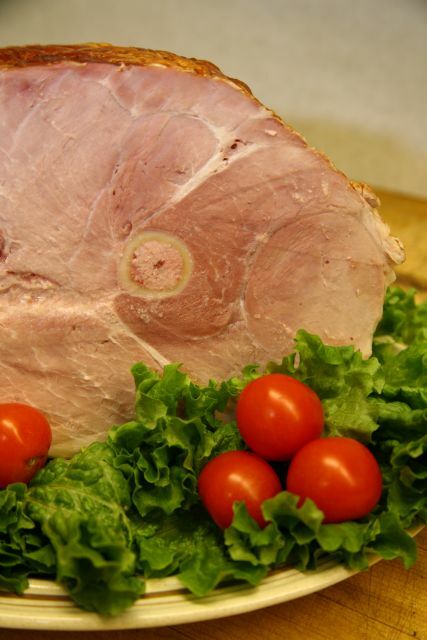 This ham is perfect for holiday dinners, ham and bean soup, or slicing for sandwiches. 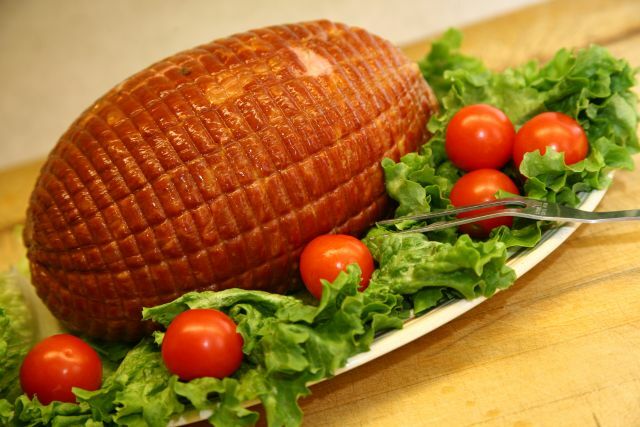 Just as juicy and delicious as our regular boneless ham, just a smaller 5-pound version. These "baby" hams are cut from the center of larger boneless hams. They are then smoked with hickory wood in a smokehouse. No liquid, water, or fillers are added. A sugar cure, rather than a salt cure, keeps the ham from tasting too salty. Great country smoked ham flavor. Need a flavor boost for your ham and green beans or bean soup? 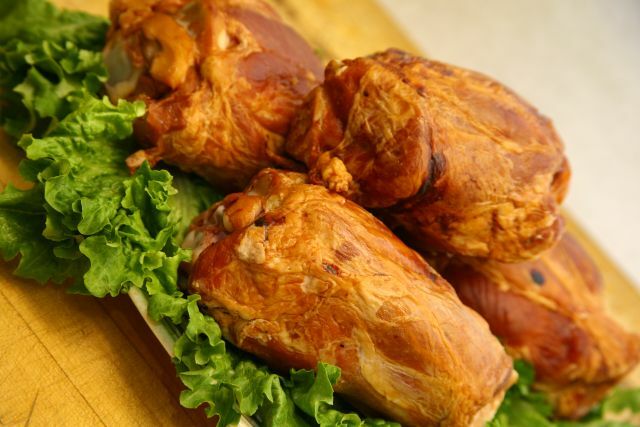 Your answer is our hickory wood smoked ham hocks. 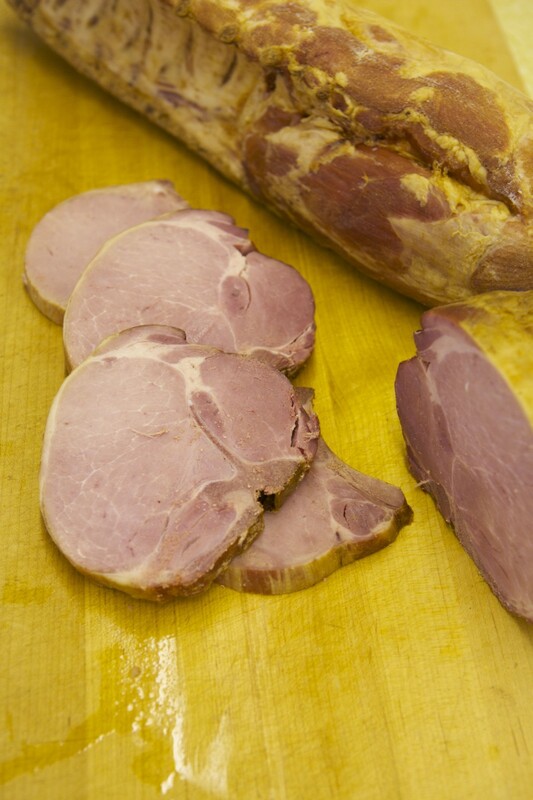 Our bone-in hams are cut off the shank end and then smoked in a smokehouse. These hocks are plump with meat and fully cooked. Weighing in at nearly 1.5 pounds each, these hocks are larger than most you will find anywhere throughout the country! 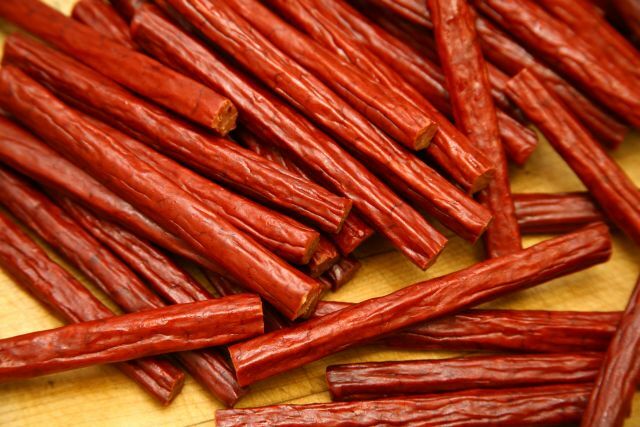 This salty treat is a local favorite in Lancaster County, Pennsylvania, and is not the run-of-the-mill beef jerky you'll find in the grocery store or the corner convenience store. Made with only the best cuts of top round, this beef is dehydrated in climate-controlled rooms and then smoked with hickory wood in a smokehouse. 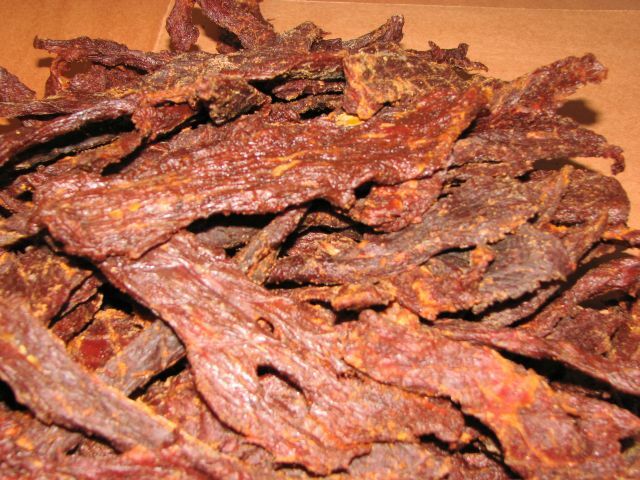 It takes 5 pounds of top round to make 1 pound of this jerky, so you know it is the real deal! Made with all turkey, this jerky is more moist than most beef jerky. Also, this turkey jerky is not as salty as beef jerky. Rather, it is on the peppered side. 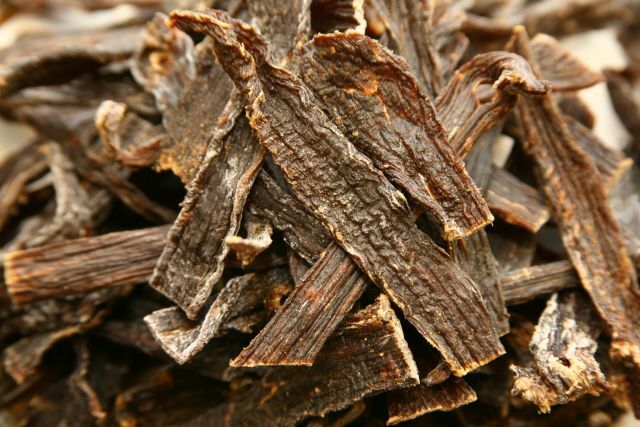 Smoked and dehydrated in climate controlled rooms gives this turkey jerky a fresh taste that you will love. Spicy and smoky flavors combine to create a cayenne pepper-based Cajun jerky with a little bit of twang. 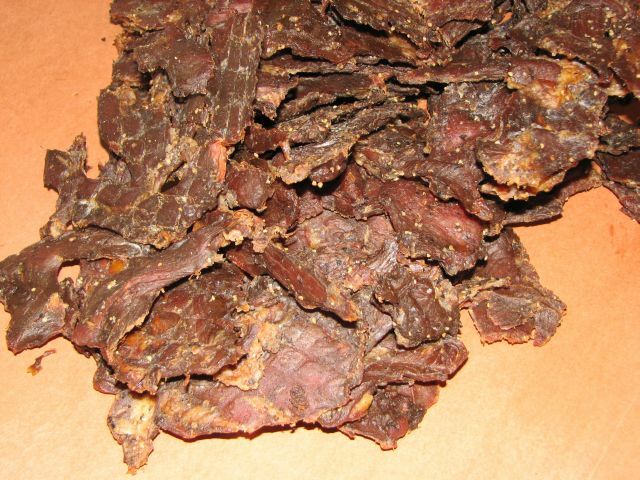 We start with a 5-pound piece of top round beef that is dehydrated in climate-controlled rooms and then smoked to perfection to make 1 pound of this delicious Cajun jerky. 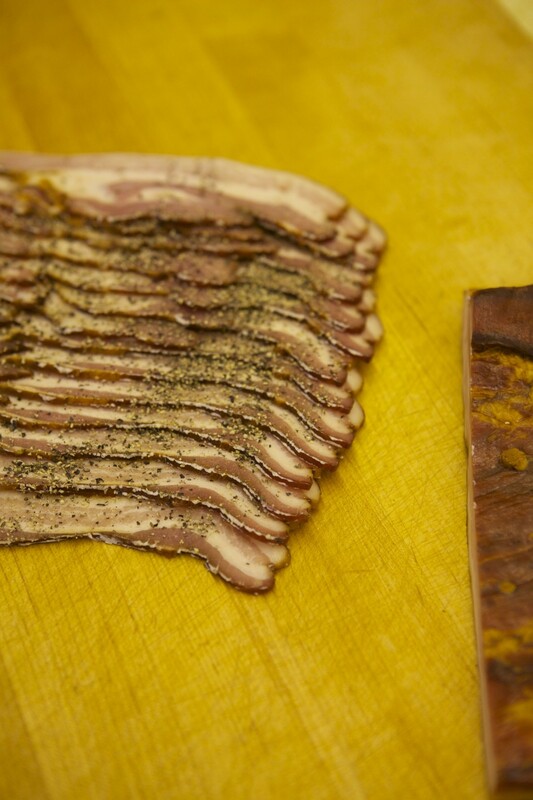 Slow smoking over natural hickory wood and extra lean Lancaster County, Pennsylvania pork combine to create a high-quality bacon that won't shrivel up like supermarket bacon. Excellent for BLT sandwiches and a great complement to your morning eggs. Have it sliced thick or cut into a large chunk to add wonderful smoky pork flavor to baked beans or to any dish for extra flavoring. 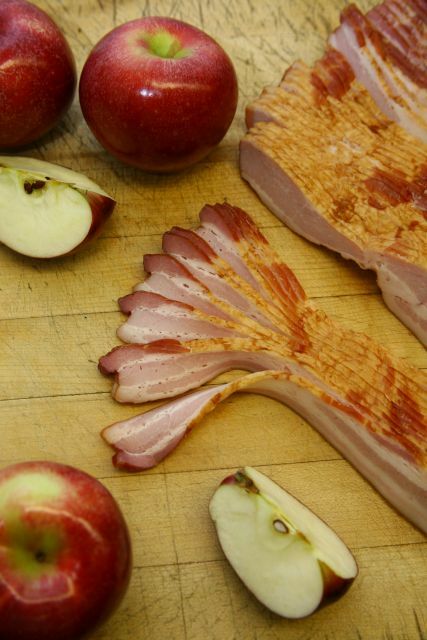 Applewood smoke and brown sugar give this extra lean pork bacon a pleasantly balanced sweet and smoky flavor. Fill your kitchen with the delicious aroma of applewood smoked bacon and cook some for an unforgettable BLT sandwich or chop into smaller pieces and mix with cheese and eggs to make an omelet everyone will love. All lean beef is wrapped in a cloth bag and smoked in a smokehouse with applewood to impart a bold smoke flavor with a hint of sweetness. Applewood smoked sweet bologna is full of flavor and is great for sandwiches, cubing for party trays, or simply snacking on with cheese and pretzels. You'll be hard pressed to find real Lebanon bologna anywhere else in the country. 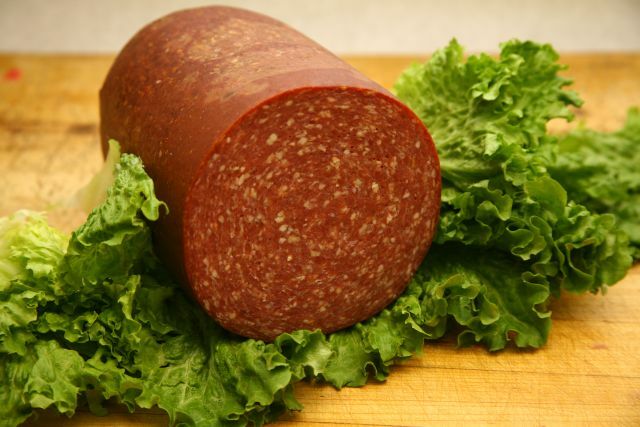 Lebanon bologna has a distinct tangy flavor that Lancaster County folks have enjoyed for generations. 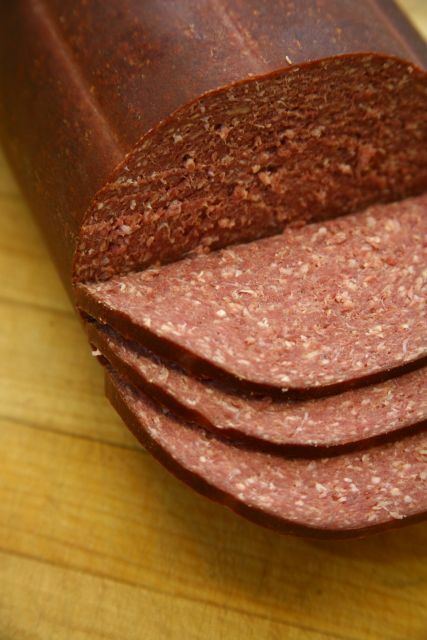 Made from 100% beef, this bold, smoky bologna has no substitute. Enjoy with pretzels, in sandwiches, or cubed on party trays. 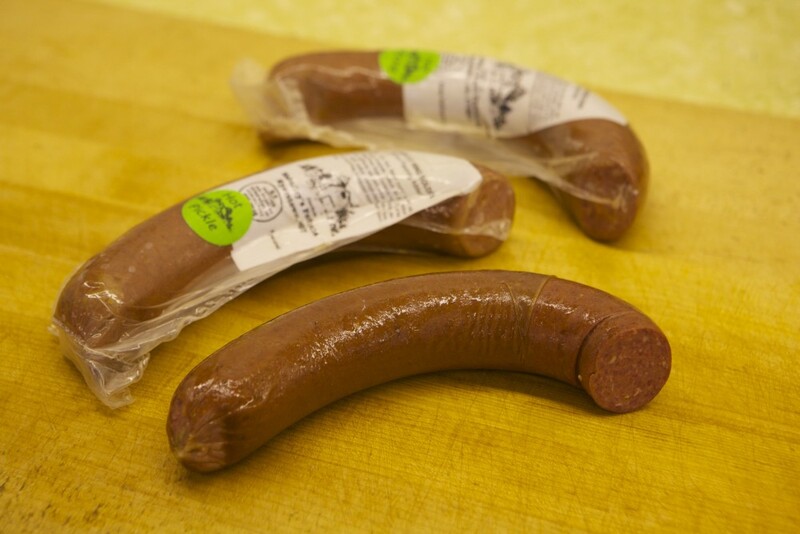 Sweet bologna is a Lancaster County staple. One bite into this moist, lean beef bologna and you will be hooked on its sweet, smoky flavor. Anyone can find a reason to have sweet bologna on hand. Have it sliced thin for succulent sandwiches or thicker for cooking on the grill, spread cream cheese in the center and make roll ups, or cube it for a delicious addition to any party tray. Old fashioned bagged sweet bologna is made with all lean beef. The beef is wrapped in a cloth bag and smoked over hickory wood to give it a natural smoky flavor. 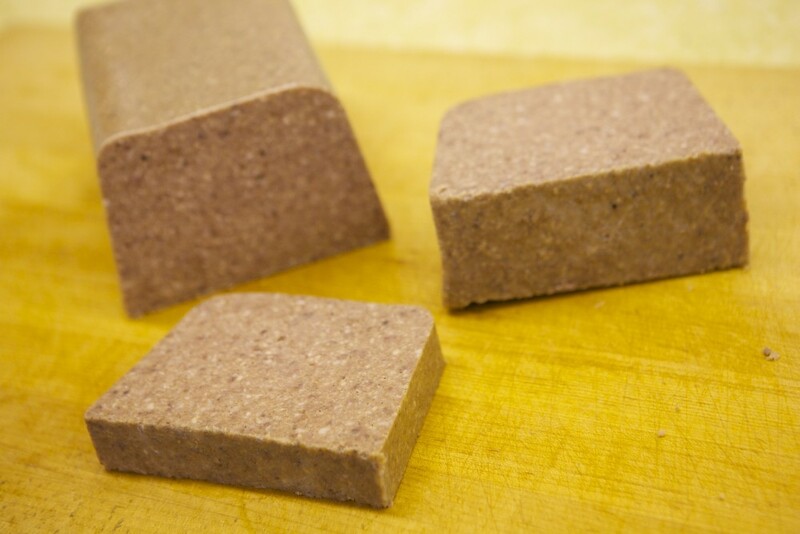 This bologna boasts delicious flavor and has multiple uses. 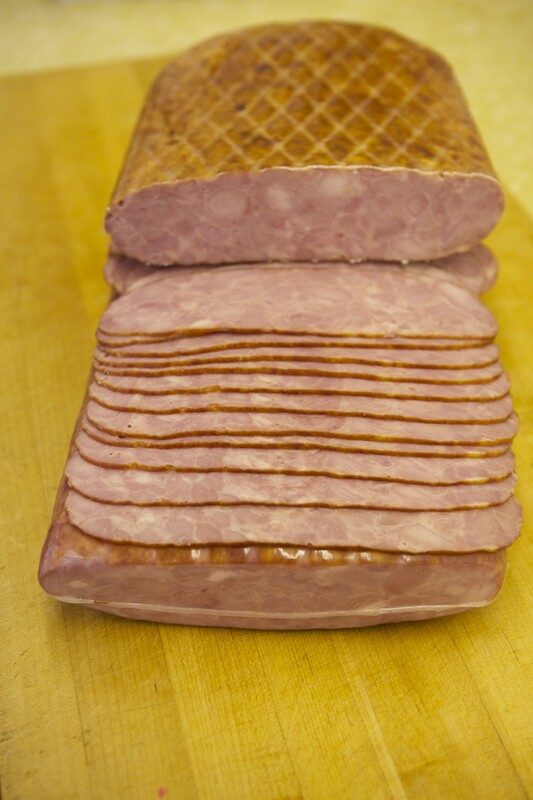 Have it sliced thin for sandwiches or extra thick for frying to make the perfect sweet bologna melt. Cut into cubes for party trays or simply cut off a piece and enjoy as a snack on the go. Only salt and pepper are used to season this Lancaster County favorite. 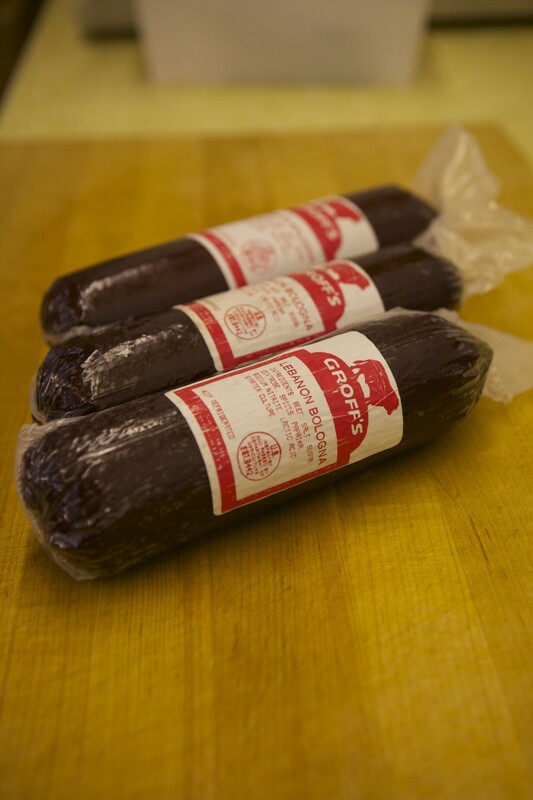 This country style sausage is smoked in a smokehouse and is fully cooked. Just heat and eat! 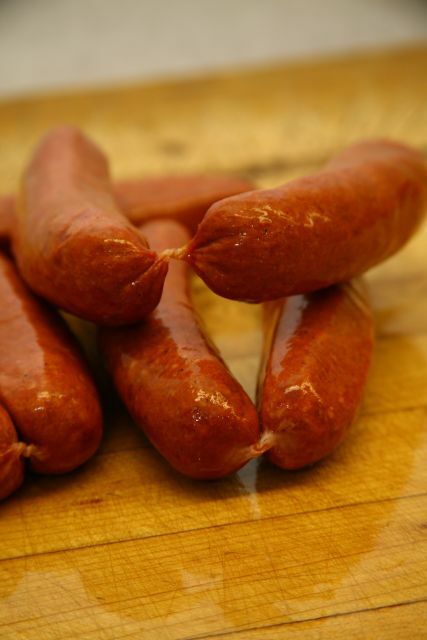 Great for the grill, these all beef hot sausages are fully cooked. Simply heat them through and you have your dinner. Cut them into pieces and add to your favorite dish. Hot and spicy flavor gives this sausage a little kick. 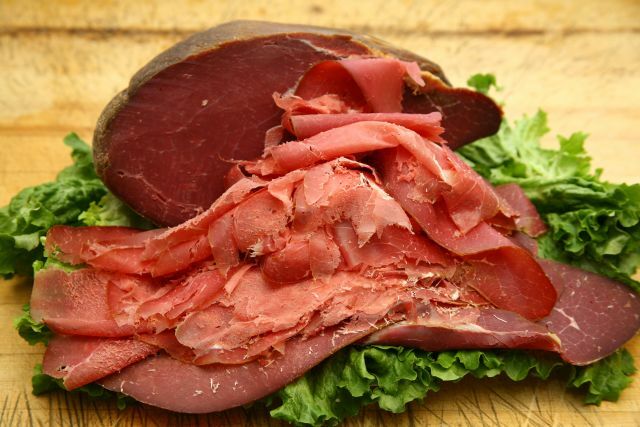 Air dried in a climate-controlled room and then smoked with hickory wood in a real smokehouse, this old-fashioned dried beef is a perfect choice for chipped beef and gravy. No smoke flavoring is added, so all you taste is natural smoked flavor. Not only can you use this for dried beef gravy, but also in casseroles, in hors d'oeuvres, or to build a great tasting sandwich. Course ground beef, pork, and just the right amount of seasoning give this zesty ring bologna a delicious flavor. 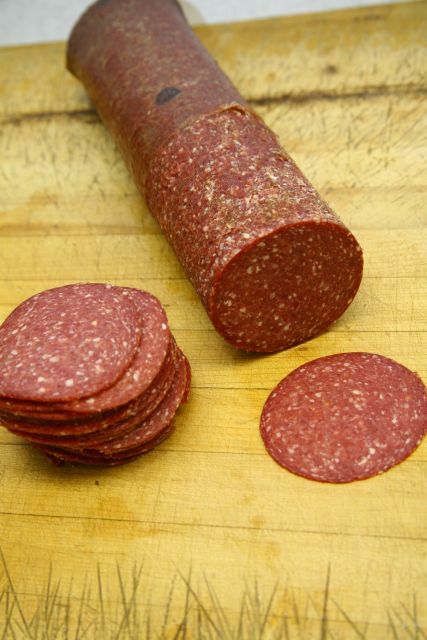 Hardwood smoked with hickory wood, this ring bologna is ideal for snacking, party trays, and makes a great gift. Goes great with any variety of cheese, crackers, or on top of a salad. Who would have thought that a little snack stick could pack so much flavor? These smaller diameter hickory smoked beef and pork sticks are tender, slightly spicy, and entirely delicious. Groffs Lebanon Bologna is made in Elizabethtown, PA. This bologna is made from all Beef, and is hickory-wood smoked. Lebanon bologna has a spice taste to it. Nothing hot though! This is great for party trays, and gifts. This bologna weighs about a pound and a half. A little taste of PA. This bologna does not come sliced. It will only be shipped in a whole piece. 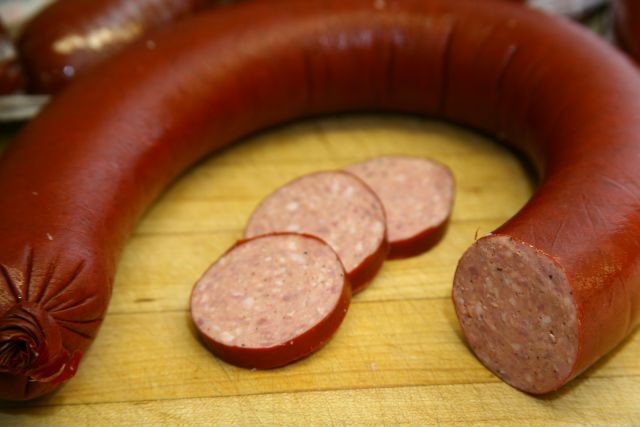 Hot pickled ring bologna is a ring bologna that is made from beef and pork. The bologna is then pickled, and it has a hot/ spicy taste added as well. This is fully cooked, and great for snacking! These bolognas weigh about three quarters of a pound. These bacon ends are Hickory-wood smoked. 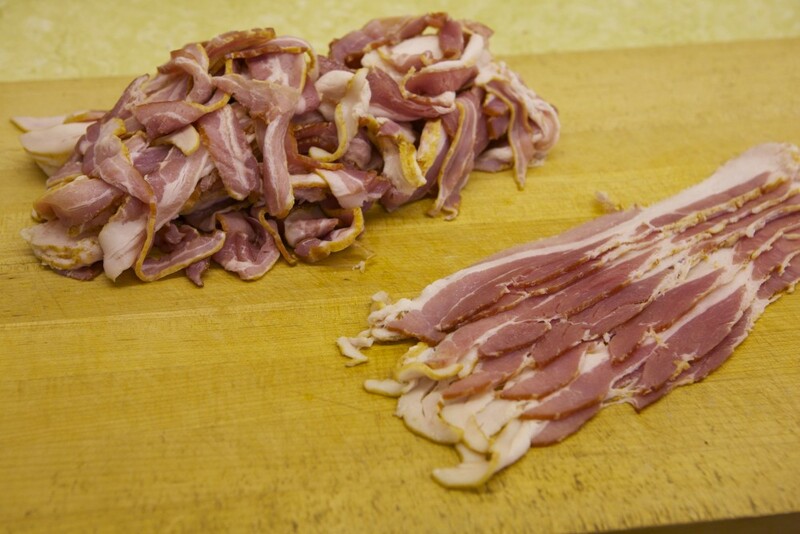 These are the ends, and irregular pieces that are sliced off the ends of the slabs of bacon. They are great for adding flavor to any type of cooking. Perfect for beans, fry them up for salad, or whatever you like. Please be aware these will not come perfectly sliced. Rather they will be lumped together. This bacon is made from local pork. Then smoked with Apple-wood. After that a course pepper is added to enhance the flavor of this super lean bacon. This bacon is done in a real smoke house, and no liquid flavorings are used. 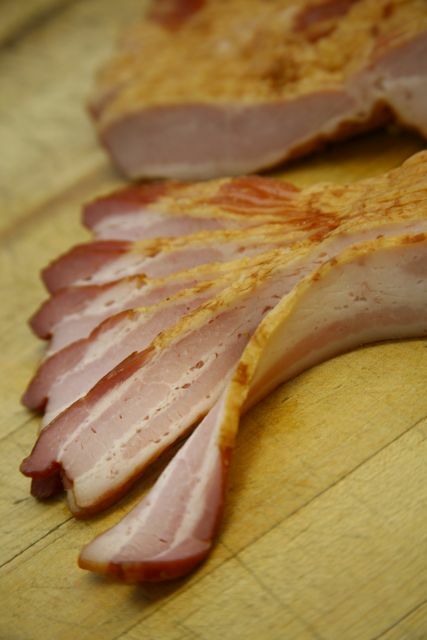 100% hickory-smoked turkey is a delicious, low-fat alternative to regular pork bacon. This turkey bacon is fully cooked and ready to heat and eat. Ideal for a quick BLT sandwich, chop and mixed it with eggs to kick up your morning omelet, or simply as a flavorful side dish for Sunday brunch. Pig feet souse is made from pork, which is placed in a jelly and cooked. 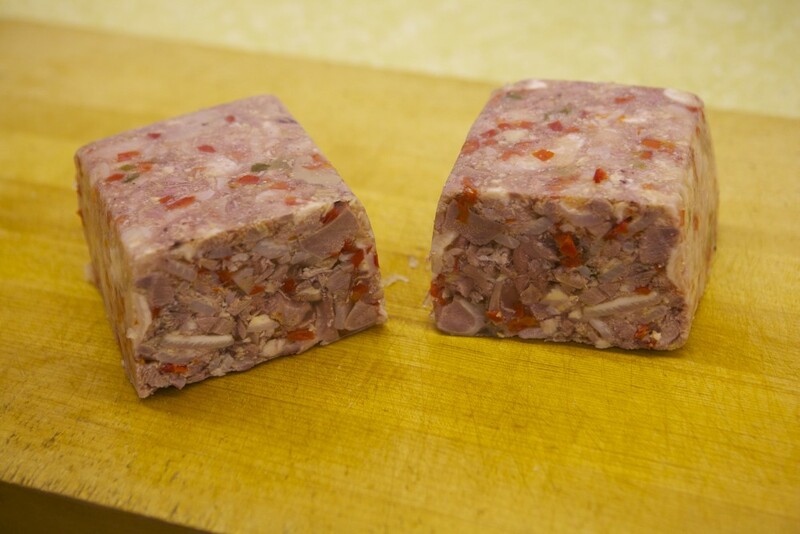 This pig feet souse is made with larger pieces of pork. It has peppers and onions mixed in. It is also pickeled with vinegar,fully cooked, and is on the sour side. Extra lean pork loins are perfectly smoked over hickory wood to infuse a rich, faintly sweet flavor into these chops. These chops are fully cooked when they come out of the smoke house. Toss a few on the grill for a delicious meal at your next picnic or heat through in the oven and top with your favorite sauce at home. An easy meal for any night of the week. Pan Pudding is a staple food here in Lancaster county and can not be reproudced anywhere else! This pudding is made from quality pork products. Simply heat it up and it melts into a thick gravy. Great for pouring over potatoes, hot cakes, roasts, etc. 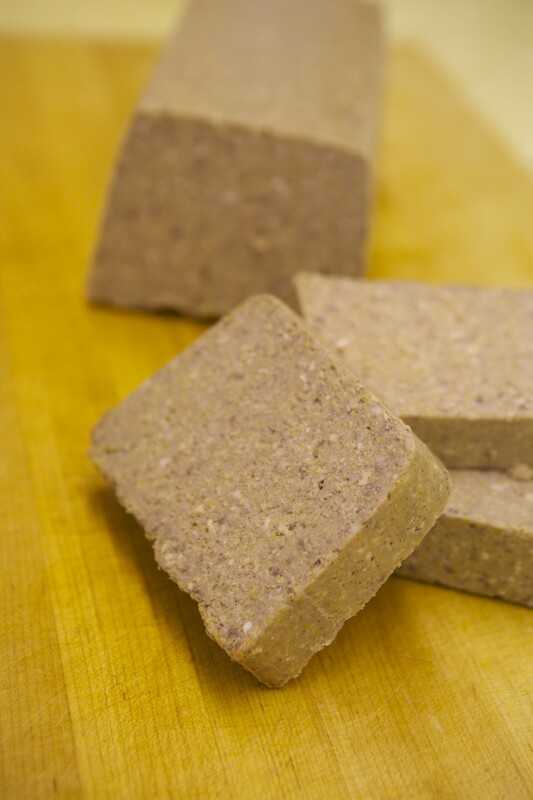 A great breakfast food, scrapple is made from pork, corn-meal, buck-wheat flour, and pepper. All you have to do is cut this into slices and pan fry. Once it's golden brown on each side you have the perfect breakfast meat to complement any breakfast. 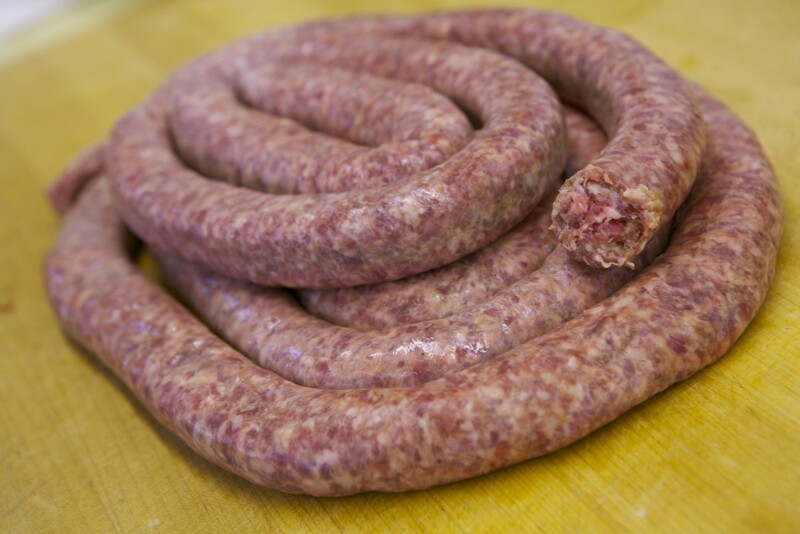 Lean Country rope sausage, made from Lancaster county pork. Only seasoned with salt and pepper. This sausage is lean and will not shrink up on you. Perfect for the grill, or add to your favorite dish. This sausage must be fully cooked before consumption. 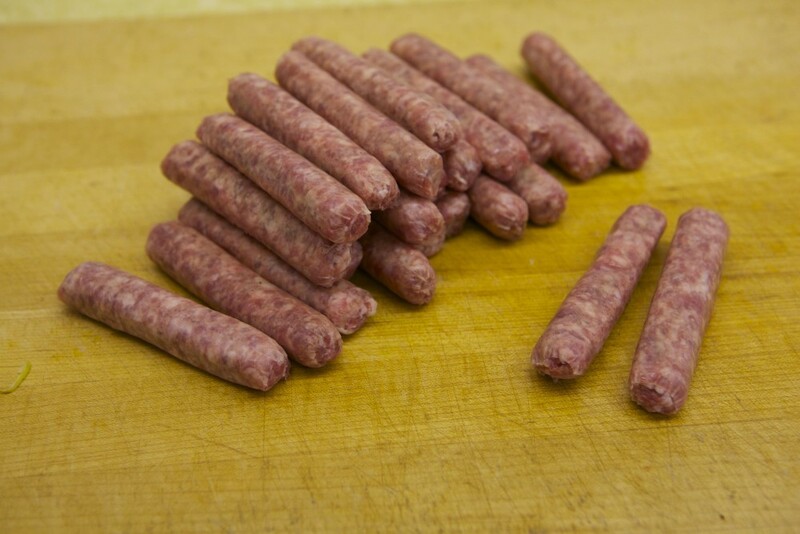 Lean Breakfast links, made from Lancaster county pork. Only seasoned with salt and pepper. This sausage is lean and will not shrink up on you. Goes great with your favorite breakfast!